Titi Island is a 32-ha reserve administered by the Department of Conservation and situated in the outer Marlborough Sounds. The island’s fauna was impacted by introduced Norway rats until these were eradicated in the early 1970s. The island has since been free of all introduced predators. Two species of large flightless insects plus tuatara were introduced to the island between 1995 & 2001 (see below). Te Papa researchers visited the island in January 2013 to attach tracking devices to breeding flesh-footed shearwaters, and to estimate the breeding population of these threatened birds. Our 3-day visit also provided an opportunity to encounter some of the island’s more cryptic wildlife. The most well-known of Titi Island’s inhabitants are the tuatara introduced from North Brother Island and from captivity in 1995. At the time, tuatara from the Brothers Islands were considered to be a separate species from other tuatara. 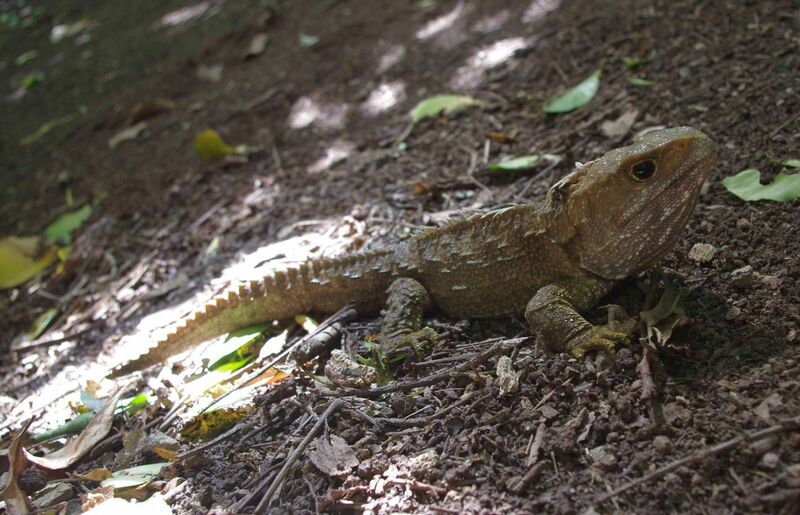 More recent genetic research has resulted in all tuatara being lumped back together as a single variable species. We encountered several tuatara inside shearwater burrows that we checked with a burrowscope. Three lizard species are known from Titi Island. We found all three species to be present, but were surprised how few individuals we found. Rodent-free islands typically have abundant lizard populations. 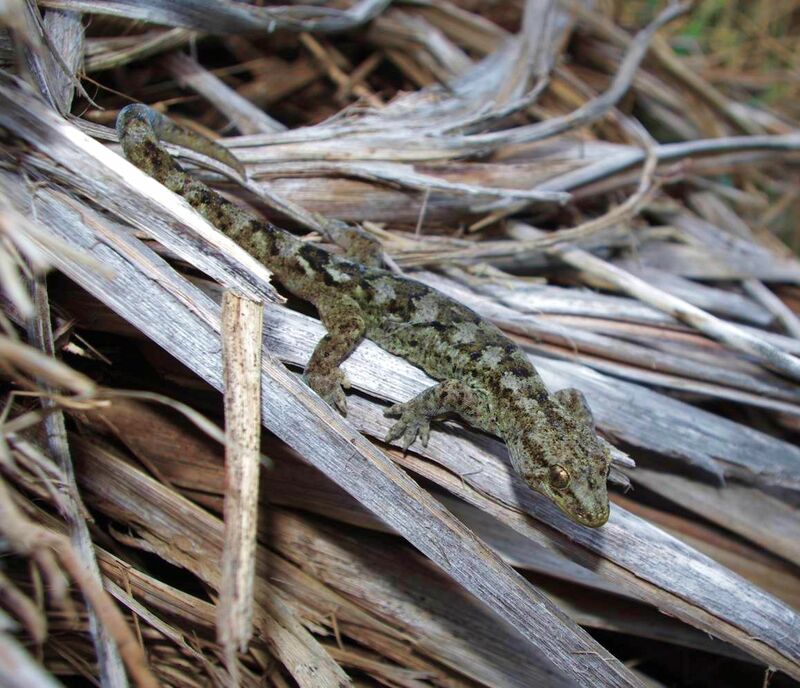 The two spotted skinks seen were among low coastal vegetation, as was the single common gecko found. 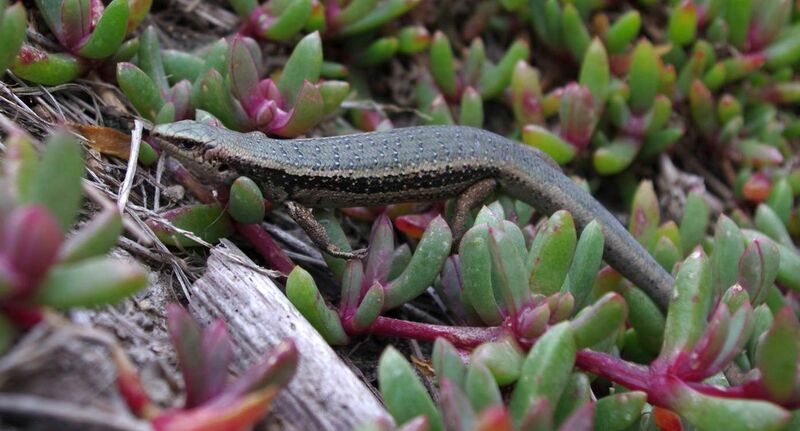 Spotted skinks occur from Hawke’s Bay south to South Canterbury, but are most abundant on islands in the Marlborough Sounds and Wellington Harbour. 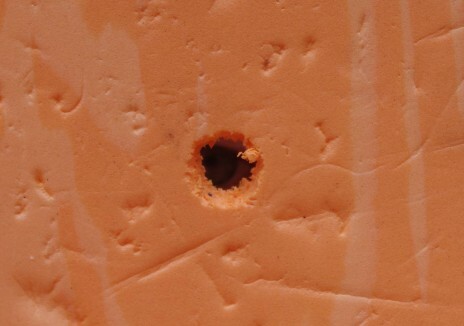 They are a sun-loving species, and are most often noticed as they move back under cover when they detect someone approaching. Common geckos occur from Northland to Marlborough and Nelson, and are extremely abundant on many islands in the Marlborough Sounds and around Wellington. They are nocturnal, hiding during the day and emerging to forage at night. The single brown skink seen was among a rock outcrop under forest. This species occurs from Taranaki south to north Westland, again being most abundant on rodent-free islands. It does not require as much access to sunlight as the larger spotted skink, and can be found under open forest as well as among grass and shrubland. Weevils are a group of beetles with a bad name, as some species are major pests of crops and stored food products. But they are an extraordinarily diverse group, with the weevil family containing more species than any other family of organisms on the planet. New Zealand has several large flightless weevil species that are mainly or entirely confined to sites that lack introduced rodents. 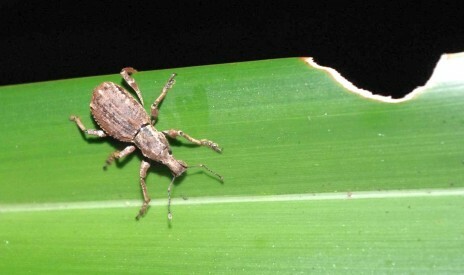 These include the flax weevils introduced to Titi Island from nearby Maud Island in 2001. We found their characteristic feeding sign on flax plants all over the island, but the 2 cm-long animals were only visible at night when they emerged to feed. 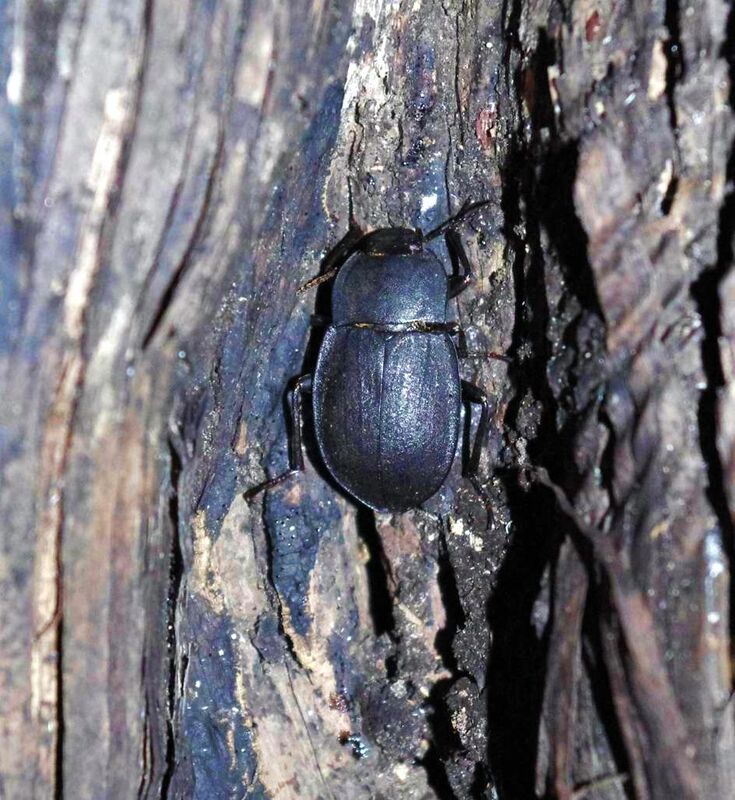 The most frequently encountered large beetle on Titi Island was a species of darkling beetle (genus Mimopeus). These also emerged at night, but were often found under rocks and in bird burrows during the day, and their larvae were common in the soil. Darkling beetles are a staple diet item for tuatara on many islands, though tuatara are partial to weta when they can catch them. 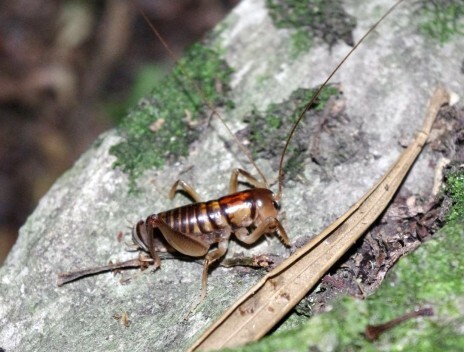 We failed to find any sign of the Cook Strait giant weta introduced to Titi Island from Maud Island in 2001, but did not have an opportunity to search the right habitats at night. The similarly-sized Wellington tree weta were very common, emerging at night and mainly staying in the trees out of reach of hungry tuatara. We had been warned of tent-eating ground weta before our arrival. These voracious little (2.5 cm-long) weta live in tunnels in the soil and emerge at night to find other insects to eat. If anything is placed over their tunnel entrances, they simply chew through it. Rather than having our tent groundsheets wrecked, we devised the cunning plan of placing snow-foam bedrolls under the groundsheets. 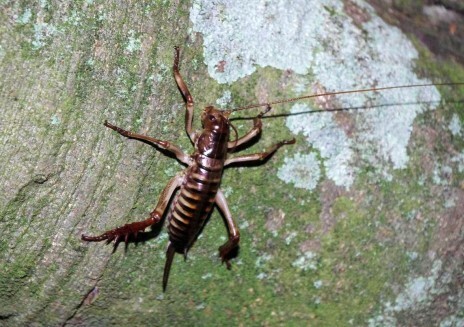 This was to little avail – the ground weta still chewed through them! 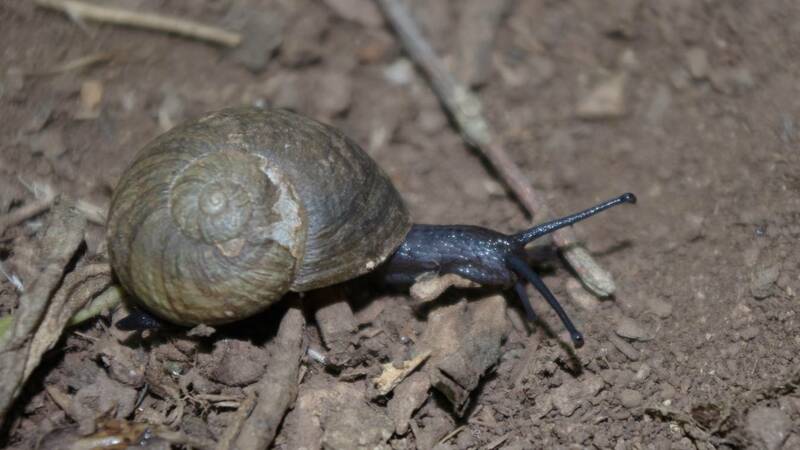 We also found several shells and one live animal of the medium-sized native landsnail Rhytida stephenensis. This carnivorous snail grows up to 34 mm across and is found on islands in the Marlborough Sounds and south to Kaikoura, with subfossil records from Takaka Hill. Thank you Colin. Particularly interesting to have those up-dates on the fate of animals introduced to Titi Island in the recent past. And a great medium to use for all this information. Hi Colin: authoritative and interesting as always, thank you. One for you or your site admin- is it possible to sign up for notifications of new posts by a particular Te Papa author only, rather than the whole shooting match?